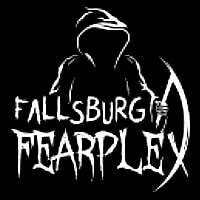 Fallsburg Fearplex is a Haunted Attraction located in Louisa, KY.
Fallsburg Haunted House has been in operation since 1987 and has grown to include a total of 5 haunted attractions over the years: The corn maze, Crazy Creek, Appalachian Nightmare 3D, Backwoods Blackout and of course, Fallsburg Haunted House. For the 2016 season they have removed the paintball and made renovations to Crazy Creek, Blackout and Appalachian Nightmare, increasing their size by “75%” since last season! All of these haunts kind of flow together and revolve around the history that took place on this property. The corn maze and Crazy Creek housed some crazed, backwoods folk that seem to be downright off their rockers! 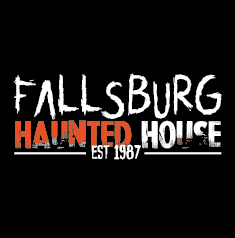 Now, we know that many of them may have drank some tainted shine, but we would never have thought it would want to make someone stuff a human body like a teddy bear… The Fallsburg Haunted House was the most intense attraction on the property! Just when we thought things couldn’t get any cookier than Crazy Creek, the house proved us wrong! There is no explanation for the sick and twisted folk residing within those walls; we just suggest that you stay close to your group as you walk through when you pay them a visit, as it’s seemingly common for people to “turn up missing” around there! Backwoods Blackout is as it’s name implies, a total blackout where you can’t see your own hand in front of your face at times! There are many surprises waiting for you in the darkness too, but we can’t ruin all the fun. 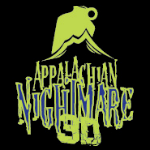 Don’t try to pull any sticky fingers in Appalachian Nightmare 3D, those hillbillies are of a different breed and they don’t want ANYONE near their precious ‘shine! If you make it far enough, you’ll even see what they did to “the Feds” that came through! Fallsburg is a very popular haunt in the area and we can see why. Folks can go out there, purchase a combo ticket that includes all haunts and have a night full of hillbilly entertainment and scares! There are many new characters at Fallsburg this year! Everyone was given things to say to help prepare them for customer interactions, although some of them had “embraced” their roles more so than others throughout the Fearplex. Granted, we did hit them on their opening night of the season, so we’re sure they will continue to improve as the show goes on. As far as quantity, The House seemed to have a better character-to-length ratio than the other attractions, but it is also fairly short and tightly spaced, which is likely a major contributor to that. We didn’t see a lot of cast members in the corn maze, but the ones we did come across were hidden pretty well and had good timing when they revealed themselves to our group. Some were threatening towards us and used evil-sounding laughs, while the chainsaw assailant had a bit of interactive dialogue to entertain us after we didn’t run from his saw. Crazy Creek is where things definitely started to take a turn, which made it more clear to us as to how this attraction got it’s name. These characters were fairly intense and appeared to be pissed off and delusional as we attempted to escape their clutches! As such, a lot of angry dialogue was heard in this attraction. There was an actress strapped to the wall that acted as if she was possessed, others were hearing voices that we couldn’t hear, a mother was seemingly pouring gasoline on her cribbed baby (calmly explaining that she “had to do it” because “mommy loves you”) and one irately begged us for money! Some of the most believable characters on the Creek include the guy with the teddy bear, the female rummaging through the trash can and the female doctor and her patient. The residents of Fallsburg Haunted House were by far the most sick, twisted and demented on the property. Now, not all of them “talked” much, but they were very energetic as they threw bodies at us, pursued us with screams and war cries, struck things violently with metal objects and one even had us feel his intestines that had been ripped out (then, afterwards, screamed, “Ow! Why would you do that?! ?” which was comical). Only a few cast members were present in Blackout (or we only saw a few, anyway), but each of them successfully surprised our group! They worked well with their surroundings and, as we entered the claustrophobic passageway, one actor told us to “go get born again.” They also had weapons and, just like the other folk on the property, didn’t seem to like us on their land. Again, not much dialogue was used in this attraction, but our brief encounters with them in this blackout attraction didn’t call for much. The 3D attraction was where we found some hillbillies “possibly” hiding some moonshine. One whacked a shovel as we went by then drug it behind him as he stalked the back of the group, making him the most intimidating out of the bunch due to his emotionless stare. With the exception of the “old lady” who was letting groups into the haunt, the rest of the characters didn’t interact with us much; one just said “hello” and others mainly just mean-mugged us as we walked by after their attempted “pop scares.” Again, this can probably be attributed to them being newer cast members and likely improve as the season progresses. A bunch of the characters throughout the Fearplex had plaid, sleeveless shirts, which helped reinforce the “hillbilly” nature of the theme and tie the haunts together. Makeup across the complex mainly consisted of deadened skin tones with darkened eyes and some occasional wounds here and there, but the House seemed to be have much more fitting looks with their intense masks and “bloodwork” that went along with their scenes. The costuming in the corn maze was hard for us to see due to the dimly-lit scenes, but that sure did help them hide better! The ones we did get a closer look at appeared to be ghillie suits and leafy camo attire, making it nearly impossible for us to pick them off before they came running out at us! The characters in Crazy Creek were mostly adorned with a mix of vintage-looking clothing (including dresses) and hillbilly attire. Makeup was minimal and we didn’t really notice any masks used in this area, which heightened the overall realism of this crazy town. We noticed quite a few masks in the house including some unique ones that we’ve never seen before! These masks helped in hiding their true expressions, which just made them that much scarier on top of their frantic demeanors. The costumes in the house also seemed to be the most believable, especially the one worn by the fellow with his intestines all sprawled out in his lap! There were only a few characters in Blackout and, although we only saw them for a few seconds, they seemed to be wearing country clothes and had minimal makeup. Regardless, the short glimpses we caught of them were a relief from the black walls of the maze. Country-style street clothes were also noticed in the 3D attraction, along with a few fluorescently-painted articles that matched their scenes. The makeup in there was much more evident though, consisting of many bright, blocky, eye-catching colors and bloody eyes that matched their respective scenes. Colored contacts really helped in enhancing the the makeup in this haunt as well! If you’ve never been to Fallsburg before, keep in mind that (if you arrive from the North) the parking lot is past the House and other attractions, so drive by all of those and you will eventually see their signs. The haunt’s hearse and fully-wrapped box trailer let us know we were at the right place, which is out in the middle of B.F.E. about to get our scare on! Parking is $3.00 per car-load and several parking attendants helped us navigate this large, grassy area. The COPS Paranormal Investigators were set up near the ticket booth on the night of our visit, but there wasn’t anything else to do in the way of entertainment while we waited our turn in line. Concessions, kettle corn, pork rinds, drinks and more were all available so you can come ready to eat! Several signs helped guide us to where we were supposed to be and staff members were very friendly and could be found at the entrance to each attraction. Fallsburg is open rain or shine, so make sure you dress appropriately for the weather. This haunt is out in the middle of nowhere and we always love those because the spooky mood starts setting in before we even arrive! The Fallsburg hearse and trailer gave us the signals that we were at a haunted house. The atmosphere was rather quiet except for a few horns, screams and other sounds echoing down the property. The wooden boards at the entrance of the Corn Maze were a nice touch, making it to where we could hear a few things but blocked us from being able to see what was going on inside! Our straw bale ride from the house to Blackout were complimented with a few spooky stories about the property, so that increased the spookiness even more since we were told to be on the lookout for REAL ghosts on the way back to our car. The first effect we saw was in the corn and had us all saying, “wow!” A guy quickly revealed himself and literally disappeared into the ground! Even though it was one of the most simple tricks we’ve seen, it was also one of the coolest effects we’ve seen all year! There wasn’t much light in the corn maze, but this made for an overall creepy environment as we walked through. Loud music was heard in several spots that made it harder for us to hear the rustling of those hiding within the corn! A lot of eerie music was heard in Crazy Creek, along with real noises made by the characters and their props. Most of what we encountered on the Creek consisted of authentic, static items such as the bus that’s still stuck, a moonshine still, a kitchen, a mine and other buildings of different shapes and sizes. A few colored accent lights added some nice touches to some of the scenes. The House was full of many different things to look at, including things we’ve never seen before. Metal music was heard throughout the house which set a really nice pace for the place. This house is legitimately decorated just like a house (at least we THINK it’s been ‘decorated’) and feels so realistic once you step inside! Vintage lighting, ghostly books, poppers, newspaper-covered walls, swinging bodies and authentic furniture and appliances are among many of the things you can see here. The Blackout haunt is one of the more impressive haunts that we’ve seen of this type. Music wasn’t overly loud, still allowing us to talk to one another, but it was heard throughout the entire attraction. Lighting was used very well in this attraction. You’re probably thinking, “Lighting? But isn’t is supposed to be dark?” Yes it is, however a quick flash of light proved to be very effective in ruining what little bit of night vision we had! A couple of spots with actors were lit up enough to see their scenes and/or what they were doing, but detail was still minimal (still consisting of black walls and an occasional, dismembered corpse). We don’t want to give all the details of this attraction, but we wish you luck in there! Appalachian Nightmare by far, hands down, has the most unique 3D artwork we have seen yet in a haunted house! It not only follows the haunt’s theme well, but it also tells a story all by itself! The real 3D items placed throughout this haunt helped in making it more realistic and added even more depth to those areas. Slower music was heard in this attraction and it was pretty bright, allowing us to see all of the artwork and details. Other effects we came across in this attraction include several guns, a saw, bottles of shine, crates, a truck and more! Each of the attractions at Fallsburg have their own themes but they all make sense with one another and refer to the legends and history that took place on the same property. We will say they do make this property come to life and, after you visit these attractions, these legends make you wonder if they are “just” stories! Each attraction’s theme explanation can be found on their website in case you want to dive in and know a bit more about the characters and what is happening before you get there. There are also videos running around the interwebs that can show you some of the history as well. Each attraction stuck to their themes very well and we didn’t notice anything that was really out of place. Here’s a quick overview of each attraction: The Corn Maze’s story isn’t up yet, but the beings we came across between the rows didn’t seem very fond of our appearance in their cornfield! Crazy Creek is where, “Clearwater’s shine has corrupted the locals” and, boy, let us tell you, they were corrupted all right! We find it interested that just drinking bad moonshine can basically make a human act like they caught rabies or something! Fallsburg haunted house takes place in an over-100-year-old building that was once the Oddfellows Lodge. They believe a serial killer lives and breathes within its walls now, but the only way to find out what’s inside is if you pay them a visit! Backwoods Blackout is referred to as “an assault on the senses” and that’s exactly what it is. It is so dark in there that you must feel your way out or stay trapped in the darkness forever! “The Legend of Old Man Clearwater lives on!” in Appalachian Nightmare, where you will get to experience a 3D, blacklight, chromadepth, hillbilly haunted attraction! We’ve never seen an attraction quite like this one and, if you pay close attention, you will learn of Old Man Clearwater and his prohibition problems! A variety of effects were used in between all the attractions at Fallsburg. This also helped to set each attraction apart and allowed for having more things to try and get under everyone’s skin. Afraid of dark cornfields? They’ve got it. Afraid of the dark? They’ve got plenty of that. What about towering mad men? Of course, they have those too! Traversing the corn was rather creepy and, as stated above, it was pretty hard to pick out those hiding within the rows until they wanted to reveal themselves. The music provided a cover up to the noises that any actors made, making it much easier for them to sneak up on us (although, they didn’t do so very often). An effective distraction combined lighting, sheets and a silhouette to take our attention away from where we really needed to be looking and one of the crew members literally left us puzzled as he disappeared into the ground (we might just have a better idea of where all of the claimed “missing people” may be, now)! There wasn’t really a finale to this attraction; it just led right into Crazy Creek. 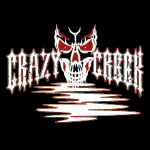 In Crazy Creek, the intensity level increased as we witnessed brutal acts of violence, including females being burned at the stake and a doctor trying to remove some sort of body part from her patient. We were caught off-guard multiple times in this attraction by effective blasts of air and actors appearing from (literally) out of the woodwork! The music echoing down the creek bed was the creepiest that we heard on the property and made our skin crawl! A caged fiend was waiting for us at the exit, showing us his sparkiness and explaining how he wished he could free himself; we’ll let you figure out for yourselves if he manages to do that! The House had the highest level of intensity as the actors and music worked together to keep it, which made our group pretty edgey the entire way through. There were several well-hidden drop panels that successfully nailed our group. An effective distraction was used in the hanging body area and we witnessed a girl being chopped in half by a realistic miter saw! Some of the cast members in here looked and acted so brutal that we got out of their site as soon as we could before they chopped us up next and hung us from the ceiling! We are sure the blackout haunt can be quite scary for some since there are a lot of people who are afraid of the dark (one of our review members included). Our freaked-out group member held onto the person in front of them the entire time so they didn’t get separated and have to take on the dark alone. Several scenes were added to this attraction this year and we sure weren’t expecting them! A lot of sounds, flashes of light and darkness combined together can really mess with your mind. The 3D attraction has some really awesome stuff to look at, but there wasn’t much fright effect going on in there. Several drop panels were used that were very hard to see and some unpredictable sounds blasted us, but, other than that, we were let down a bit as we walked through. We want to include that we were in a bigger group at one time, but they got way ahead of us, so this may have messed the timing up on some things because we heard a lot of ruckus going on and then we never saw what created it. General admission to enter all five attractions will cost you $22.00 (same as last year) per person. If it’s a very busy night and the lines are long, you can skip the wait and purchase Speed Pass tickets for $40.00. Don’t forget to bring an extra $3.00 for their parking! Our review group spent a total of about 28 minutes inside all of the attractions at the Fearplex, not including the wait in lines and the wagon ride. Tour times may also vary per group, but our 28 minutes brings this attraction to 1.27 minutes of entertainment per dollar spent. This is below our new average of 1.5 minutes per dollar that was calculated and averaged from all of the haunts we were able to visit last season. Regardless, Fallsburg offers a large variety and some different thrills, so we suggest paying them a visit if you are in the area. We have seen them do many ticket giveaways on their Facebook page so be sure to follow them on social media as well. 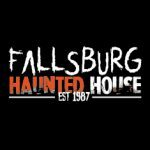 Fallsburg is a popular haunted attraction and, if you haven’t been yet, well… what are you waiting for? “More haunt, less wait- open rain or shine” sounds like a good time to us! We had a preview and will most certainly be back! Fallsburg Fearplex is an amazing place. Wish that it was quicker to get the lines going but overall …show more awesome place.